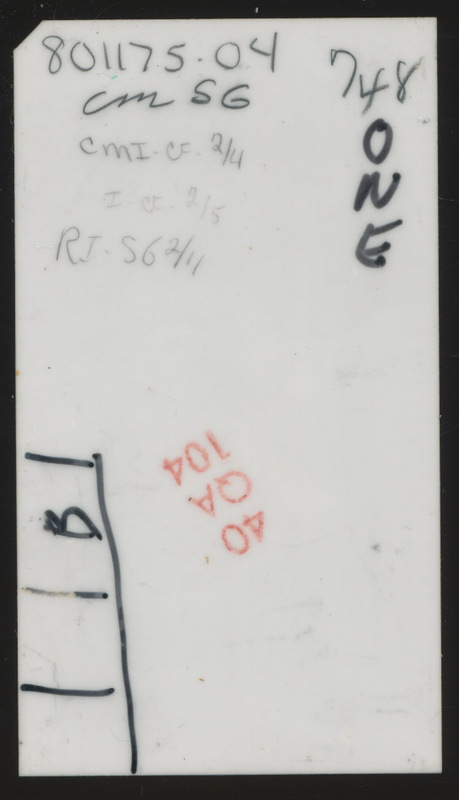 HP D5061-3001 Backside with engineers signoff on various tests. When one thinks of Hewlett-Packard one typically thinks of PC’s, Printers, or perhaps, very well built test and measurement gear. In the 1970’s HP made some of the best test/measurement systems available. They also made a line of desktop calculators, that rather blurred the line between computer and calculator. It was for these, specifically the HP 9825 desktop computer that HP began one of their first processor designs. The year? 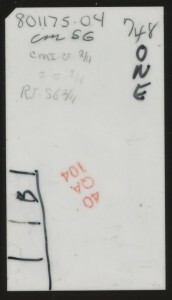 1973. Intel was making the 4004 on a 10 micron PMOS process running at a 740KHz. It ran calculators and a host of other equipment. It was a 4-bit process, soon to be replaced by the 8-bit 8008. Intel’s first 16-bit design would be the 80286, in the early 1980’s. HP had looked at process technology and in the early 1970’s select NMOS over PMOS. NMOS had greater potential, albeit trickier to make at the time. In 1973 HP began using their second generation NMOS process, a shrink to 5 microns from the original 7 microns. 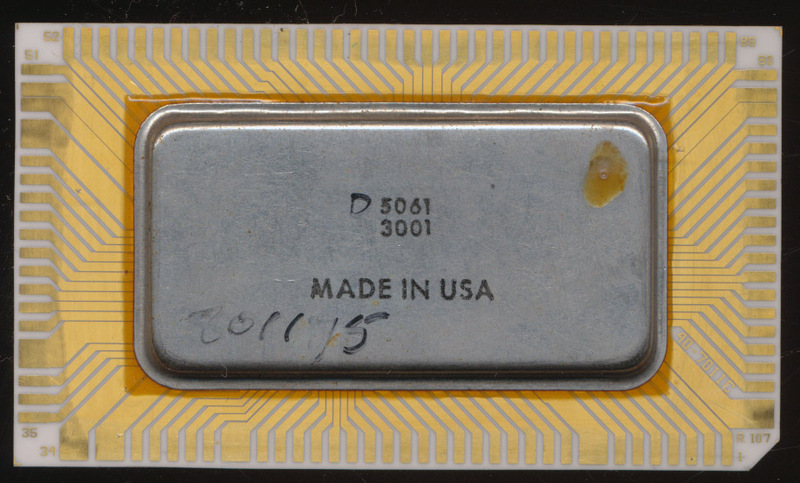 Even at 5 microns the 16-bit design of the 5061-30xx too multiple die’s, all bonded on one package, to implement. The final result was a single ceramic package containing 3 dies. a BPC (Binary Processor Chip) that executed 57 instructions, an EMC Extended Math Chip, which handled 15 floating point type math instructions, and the IOC, an I/O chip which implemented 12 I/O instructions. 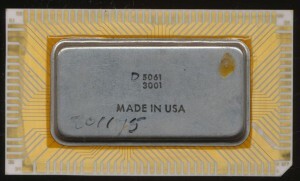 A later version (the D5061-3001) would add a 4th chip to the package called the AEC, Address Extension chip, allowing this 1970’s design to address up to 4GB of memory. These processors continued to be made until the mid 1980’s when other processors performance caught up enough to make replacing them viable and economical. How rare is that CPU ? And how much is this CPU (Including the Co-CPU) ? THe versions with the AEC are more.